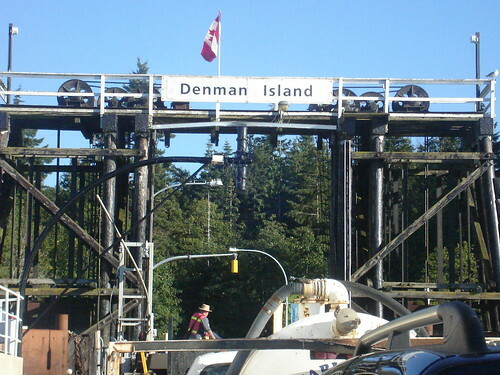 Denman and Hornby Islands, Fulford Harbour, Gabriola Island, Sointula, Alert Bay: these are just a handful of Vancouver Island communities that heavily rely on our Province’s ferry system. Oversea transport is vital to the economic stability to these communities and to our Island as a whole. Hahn asserts that either the fares must be increased or the Provincial government needs to kick in an additional $25 million on top of what is already contributed. If neither happens, BC Ferries will be forced to cut services. If this is true, it seems only sensible to examine what the corporation deems to be “services”. As a taxpaying citizen that uses the ferry system on a very regular basis, I have absolutely no problem with my hard-earned money paying for ferry repairs, terminal upgrades, inevitable increases in fuel cost or even the added cost of labour in the interest of safety. In fact, I am incredibly grateful that BC Ferries does what they do. My question regarding so-called services is in respect of the add-ons – the shine and sheen that our world class ferry fleet has come to be known for. Like those in smaller communities who rely on this form of transport as part of their daily commute or a sustainer of local business, riding BC Ferries is essential to all of us. 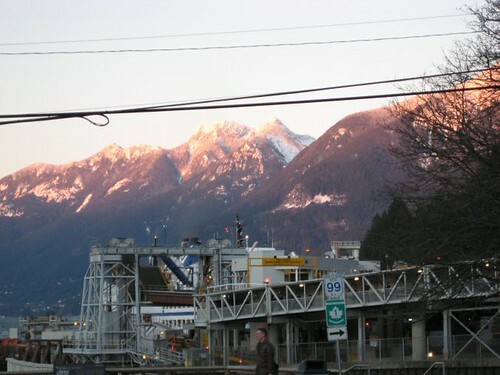 Since the Province handed the helm over in 2003, transforming BC Ferries into an independent commercial company, a dramatic shift has taken place. The ferries have swung from essential to luxury. New vessels with cushy seats, gourmet food, sparkly items in the gift shops, private lounges, spa services and state-of-the-art entertainment options have taken to the seas. What are these expenses costing us and who have they been designed for? This is a far cry from the once simple vessels with space for passengers, basic food and facilities dedicated to getting passengers from Point ‘A’ to Point ‘B’. Between revamping the vessels, the incredible salaries afforded to BC Ferries’ upper management and glitzy tourism campaigns, I simply question who BC Ferries is doing business for. Does BC Ferries need to advertise their services to the tourism market? No – they have an absolute monopoly on BC’s waterways. 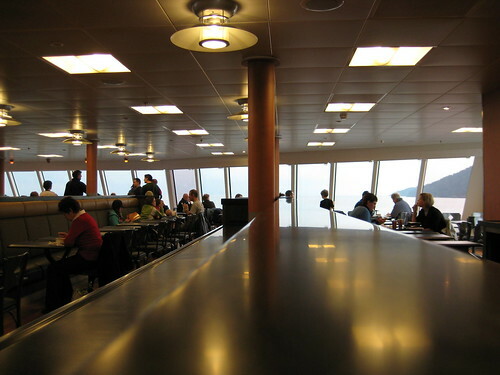 Does BC Ferries need to spend your money and mine on luxurious on-ship facilities? No – we need safe, secure vessels to take us from one destination to another. Does BC Ferries need to put public accountability ahead of their own agenda? You bet. Without us, their business would sink. Should BC Ferries look at slashing funds from other areas of their annual budget before reaching deeper into the public’s pockets? This one’s a no-brainer. The rising costs of fuel, labour and services are a part of life and an expected component in a forward-moving economy. We each have the personal responsibility to ourselves to ask the crucial questions. Does this ferry service work for you and your family? I would love to see the ferry service shift back to meeting the very basic needs of our Province’s residents as it did from the 1960s to the 1990s. At the end of the day, whether or not BC Ferries’ proposed fare hikes are justifiable is up to you and me. The BC Ferry Commission will be reviewing the issue, along with our Provincial government, and the fare increases won’t hit us until 2012 – if they’re even approved. However, there are a number of things you can do. The BC Ferry Commission welcomes input with regard to issues relating to fare caps and service levels. You can directly e-mail the Commission. 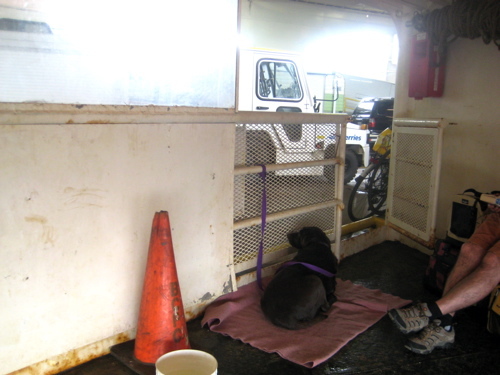 Being that on my regular ferry trips I travel with my dog, my frustrations with riding the ferries are nothing new. However, facing yet another hike in fares to sit in inappropriate conditions makes me very upset. The issue goes back, once again, to whether or not we’re getting value for the dollar in terms of service. If BC Ferries would take my money and invest in bringing up the standard of the pet areas, I’d gladly dish out twice the cash I pay now for fares. If the increased fares, decreased service or even the pet areas are of utmost concern to you, I strongly encourage you to flex your vocal muscles and send the Ferries a note. BC Ferries is highly committed to customer service and has a great public consultation program, consisting of advisory committees dedicated to engaging you and I in decision-making processes. The Ferry Advisory Committee is led by terminal liaisons. For a complete list of contacts and e-mails, you can find them here. Until February 11th, you can enter to win delicious Valentine’s Day prizes from Silk Road Tea, Rocky Mountain Chocolate Factory, the Nanaimo Museum and Saltspring Soapworks. Click here to enter now. Great post – I couldn’t agree with you more! Ferries should be functional – not luxury. Great post! I completely agree that BC Ferries should be publically accountable! It is frustrating as an Islander to be completely dependent on a monopoly to travel to or from the place I call home. 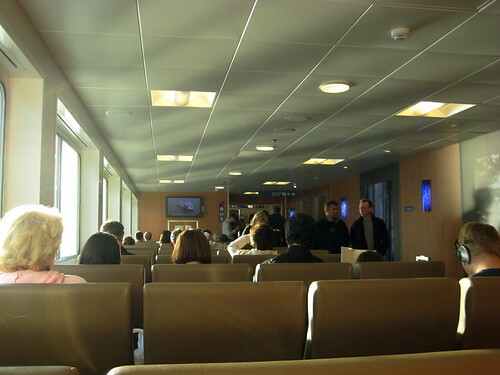 In terms of spending more for on-board “luxurious” facilities the ferries on the major routes surpass any passenger boat/ferry I have ever taken (except for the pet areas), including an overnight ferry from Stockholm to Helsinki! Whenever I travel on the Coho or the Clipper to Washington State, I notice the difference in quality/customer service/cleanliness right away. BC Ferries is doing a better job than their American counterparts in many ways. Now, they just need to focus on serving British Columbians! One aspect which has to be considered is that BC Ferries are an integral part of the provincial transport infrastructure. Therefore, capital expenditure for the highways and BC Ferries should be treated on the same basis. Major highway upgrades and new highway construction are funded through borrowings, increasing the provincial debt, which all B.C. taxpayers are called upon to fund/service, including ferry users. The provincial vehicle licensing fees and the provincial fuel tax only pay for the maintenance of roads. All major upgrades of ships and terminals and the purchase of new ships are paid for by BC Ferries. These costs have to be amortized ($ 115 million per year) and debt financed ($ 67.6 million per year), which make a big hole in the accounts explaining the annual financial result. If highways and coastal ferries would be treated alike re infrastructure costs, ferry fares would be much lower than today! Quite frankly, this upsets me. Although I appreciate Jakob’s response above, it doesn’t excuse the other “luxuries” that Keira has clearly outlined in her post. We use the ferries as pretty much the only way to get us to see our family and friends on a regular basis on Vancouver Island. The ferries are already exorbitantly expensive… to the point where this year we’ve decided to cut back our ferry trips by almost 50%. Further increase in fares would just mean we wouldn’t go more than maybe once a year. Maybe BC Ferries should consider cutting their multi-million dollar unnecessary advertising campaign and focus on reasonable fares for passengers and cars. With a transportation service like this, there’s no better advertising than a fare reduction. Great post! I’m quite upset to hear about the fare increase. There are definitely areas BC ferries can cut down on spending like you mentioned in the post.